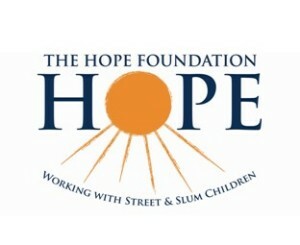 A registered charity in Kolkata (formerly Calcutta), the Hope Foundation works to protect and help street kids and impoverished families from abuse, unethical labour practices, and other hazards of street life and poverty. The Foundation operates and funds more than 60 projects offering protection, healthcare, education, nutrition, rehabilitation, and education. Maple Leaf EduConnect aims to link educational institutes in Canada and India, serving as a reference for schools and students to simplify the process of studying abroad. 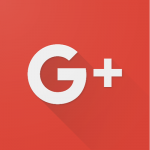 With their aim to be the most-trusted source of information in their field, they do not rely on secondary information nor do they represent any particular institutes. Instead, their extensively trained staff aim to give personalized advice that keeps all options open—including countries other than Canada. PricewaterhouseCoopers specializes in advisory, tax, and regulatory services with a network of offices across 158 countries. PwC India is a firm working to provide organizations with informed and well-researched solutions for every type of business-related concerns. Listening to different points of view, they provide advice and guidance to maximize and identify opportunities for growth in every sector, no matter their location. Scotiabank is the third largest bank in Canada offering a variety of services including commercial, corporate, personal, and investment banking. They have developed a reputation as a patroon of the arts and for sponsoring a great numbers of events and initiatives. In Canada, they are the main sponsor of Toronto’s Scotiabank Nuit Blanche, the Giller book prize, Toronto’s Caribbean Carnival, and have provided buildings to two Ontario universities. Scotiabank has established five branches in India with one in Mumbai, New Delhi, Coimbatore, Bangalore and Hyderabad. Carleton University is a comprehensive university located in Ottawa, Ontario — the capital of Canada. Since its foundation in 1942 as Ontario’s first private, non-denominational college, occupying rented premises, the University has grown to become a public institution with upwards of 65 areas of study. Carleton has built a strong reputation in many fields — including engineering, humanities, international business, and across the Faculty of Public Affairs (e.g. international affairs, journalism, legal studies, political science, and public policy & administrations). Located in Central Ontario, Fleming College has campus locations in Peterborough, Lindsay, Haliburton, and Cobourg. The college features more than 100 full-time programs in Arts and Heritage, Business, Environmental and Natural Resource Sciences, General Arts and Science, Health and Wellness, Justice and Community Services, Skilled Trades and Technology, and Continuing Education. Fleming College has 5,900 full-time and 10,000 part-time students, and more than 68,000 alumni. Humber College is a polytechnic institute with three campuses in and around Toronto. Since its inception in 1967, the school has expanded to offer over 150 programs spanning 40 fields of study, awarding everything from apprenticeships and diplomas to post-graduate certificates and bachelor’s degrees—the latter in conjunction with the University of Guelph. Due to the popularity of the school, many current and successful industry professionals are in fact alumni of Humber College. Kwantlen Polytechnic University has four campuses in the Metro Vancouver area of British Columbia. Established in 1981 by the provincial government, Kwantlen offers bachelor’s degrees, associate degrees, diplomas, certificates and citations in more than 200 programs. Degree programs and other applied credentials have been developed to meet the needs of both regional and global job markets. Their more than 17,500 students can apply diploma and certificate credentials to bachelor’s degrees, making the enhancement of applied and technical programs possible. The Michener Institute for Applied Health Sciences is a Toronto, Ontario based post-secondary institution that was established in 1958. Their motto is “Better Experience, Best Education” as they deliver in-hospital training and work to advance research and improve the health of the community and the world. The Michener Institute offers a variety of full-time and continuing education programs spanning many fields of study. They also offer Bachelor Degrees in conjunction with University of Toronto, Laurentian University, and Dalhousie University. The Shastri Indo-Canadian Institute is a Canadian registered charity working to create binational links in academia, business, and government by funding research and seminars. They provide grants, internships, fellowships, and other forms of first-hand experience in India and in Canada as well as connecting the Indian community abroad to Canadian institutions. 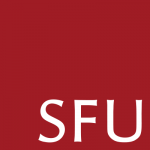 Formed in 1965, Simon Fraser Univeristy has established itself as the lead comprehensive university in Canada. With campuses in three of the largest municipalities in British Columbia and connections to partner communities in the province and around the world, SFU aims to be the most community-engaged research university in the country. SFU is among the world’s top research and teaching universities with more than 30,000 students, 6,500 staff members and 120,000 alumni while also ranking on the Times Higher Education 100 Under 50 list of universities. Founded in 1911 as a high school and gaining full university status in 1934, the University of Regina is located in the capital of Saskatchewan. The publicly-funded research school has earned a reputation for its experiential learning, encouraging internships and professional and co-operative placements in more than forty programs. The largest university in the province, the University of Saskatchewan was founded in 1907 on the premise of providing a higher education to everyone regardless of gender, race, creed, or religion. It formed as an agricultural university but has since expanded to include more than 200 programs of study. As a research university, the University can claim credit for the discoveries of sulphate-resistant cement and the cobalt-60 cancer treatment unit. The University of Western Ontario, recently renamed to Western University, is a publicly funded research hospital in London, Ontario. It was founded in 1878 and is today among the top universities in Canada, boasting tremendous facilities—like research labs and teaching hospitals—and a strong education in every field. Adjacent to the main campus are three associated colleges: King’s University College, Huron University College, and Brescia University College.